Welcome to Season 2 of the Get Paid Podcast! For the next 11 episodes, I’ll be joined by my lovely co-host, Val Geisler, so we can dive deeper into some of the topics that my guests and I touched on in Season 1. In this episode, Val and I discuss the myth (or is it a myth?) of the 6-figure business, and what it actually takes to get to that milestone. Fan of great #business podcasts? Season 2 of the #GetPaid #Podcast is finally here! Season 2 of the Get Paid Podcast is sponsored by Acuity Scheduling. Start your exclusive 45-day free trial at acuityscheduling.com/getpaid! Why understanding the basics of owning an online business is important to your success. How being an entrepreneur can help you find and hone your innate talent and how fear can affect the success of your business. Why having a solid business foundation is essential to creating successful Facebook ad campaigns. Lessons we have learned from other successful entrepreneurs that have helped our own businesses. What strategies we have used and found success from in the early years of our businesses. Why becoming an expert in a specific niche is more lucrative and sustainable than diversifying your business. How “serving yourself” can help you better serve your clients. Why sharing your expert tips with others, for free, can lead to better conversion rates. Why it’s important to let your personality shine through the online content you create. Facebook Ads: Viagra for Your Business? – my blog post about why Facebook ads are like Viagra: they can get your business to “perform” but only if you already know what you’re doing. Start small to go big: set a goal, work toward that goal, then add onto it and work toward that goal. Help people solve real problems. There’s no “formula” or “recipe” for an amazingly successful business. Thanks for listening! Time to go get yourself paid. 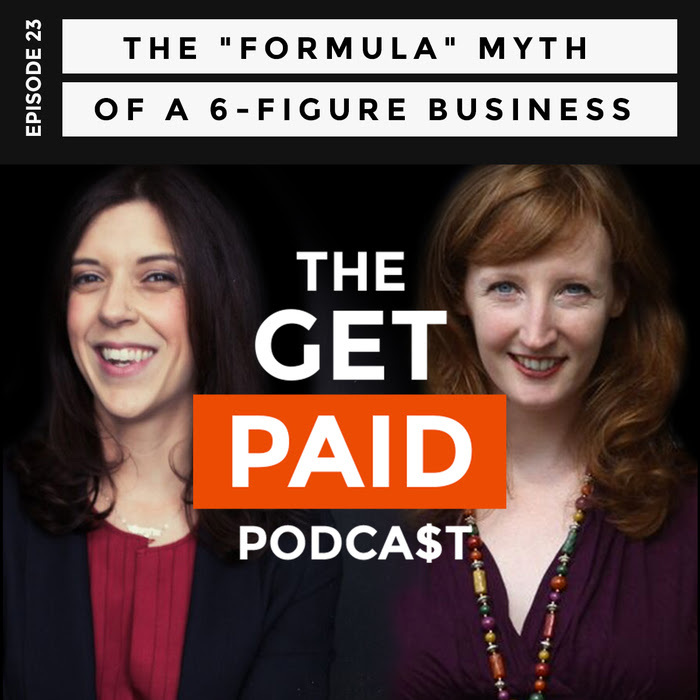 :) The post The “Formula” Myth of a 6-Figure Business (GPP23) appeared first on Claire Pelletreau. There are no lists that include "The “Formula” Myth of a 6-Figure Business (GPP23)". You can add this episode to a new or existing list.